But it reminds me of buying running shoes, which I don’t like to spend a lot on. Hey, I’m a frugal guy! In fact, I dislike shopping in general, so I tend to go many months between shoe shopping. It’s simple for me—I don’t want to spend the money. I don’t have the time. But one day, this all changed. It used to be I would see some physical signs of failure before buying shoes. Something would break, the sole would fall out or get a big hole in it. Maybe the stitching on top or in the front would come apart, or they would just look so beat up it became obvious, even to me. Cut to the shoe store. I would buy a new pair, put them on, and feel how amazing they felt on my feet. The supportive cushion, the traction! 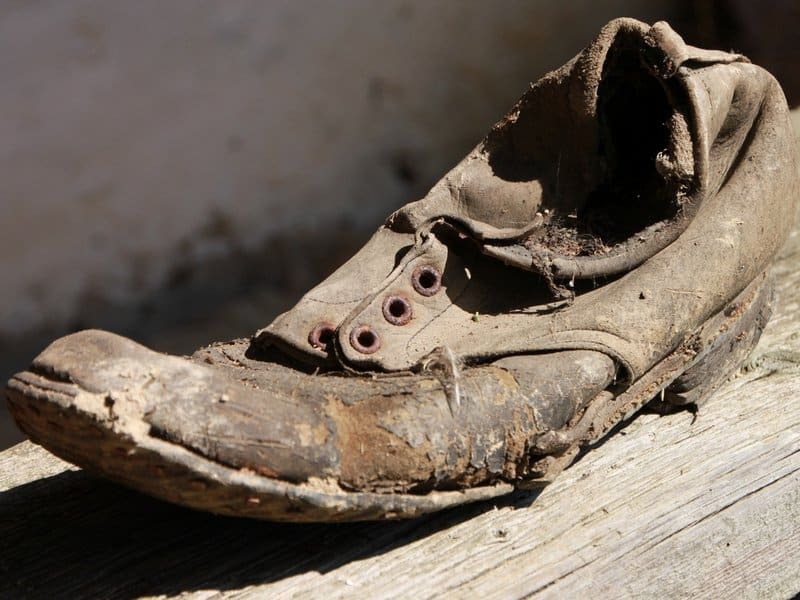 I would be amazed at how I lived with those old shoes for so long. Making the change even improved the performance of my exercise and reduced pain. Took me many cycles of this before I realized, you need new shoes before you realize you do. Safe to say I learnt my lesson, and I’m a pretty regular shoe shopper now. Okay, okay, but shoes have nothing to do with business intelligence software! Interestingly, my shoe sentiments happen to be the other common replies I get in response to suggesting a BI software upgrade. I don’t think it is, and after years of experience, I’ve come to believe that researching and buying business intelligence software is exactly the same as buying shoes. Technology in general including software continues to improve at a rapid pace. This means that using the same software you’ve had for the past 5 years, maybe even 3, could be giving your company blisters. Keeping the same old software could even be hampering the potential performance that new BI software can bring. Not convinced? Let’s take a look at what these the ‘blisters’ might look like in your business. Your business mistakes the lack of people complaining about the BI tool as proof they like it. But in reality, they stopped complaining and moved on to workarounds. This is the equivalent of putting a band aid on your blister. The blister’s still there… Your skin might be able to heal, but your software sure can’t! In this case, people are telling you the BI tool is bad, but no one is listening. Why not? Because it’s just what the company has, so deal with it. Or maybe it cost a lot, so we may as well use it. Sound familiar? This is not only inefficient, but it’s demotivating for your valued employees. Having to fight more fires. A properly utilized BI tool should allow things to run more smoothly. You get better monitoring of trends and you have data at your fingertips. Is it easier to answer questions with your current BI tool? Did you notice lots of processes improved since you bought it? If not, good sign of a blister. IT busy with lots of data requests. The right self-service BI tool should make IT’s life better not worse. If your IT department is still spending the same amount of time (or more!) fielding end user requests for data as before you got your tool, something’s not right. Let IT play a more strategic role and help your company grow instead of doing damage control. Pop this blister ASAP! They say if you’re not growing, you’re dying. While a steady state can provide a moment of peace, in business the goal is growth. If your BI tool is not delivering access to monitor your key business performance metrics or helping you make decisions to accelerate those in the right direction, you’re not leveraging business intelligence properly. All these blisters are probably no one’s fault. Because your existing tools make things too difficult, too expensive… too much trouble to bother. That’s where Yurbi comes in. Yurbi is a modern, easy to implement and use, business intelligence software. Plus it’s affordable, if budget is you concern. If time is your concern, we have professional services to help you get the benefits of business intelligence without the hassle of setting it up. We may not be able to stop your shoes giving you blisters. But we know what we’re doing when it comes to offering a modern, self-service BI that meets real business needs. Click >here< to request a demo of Yurbi for the aha moment you’ve been waiting for.